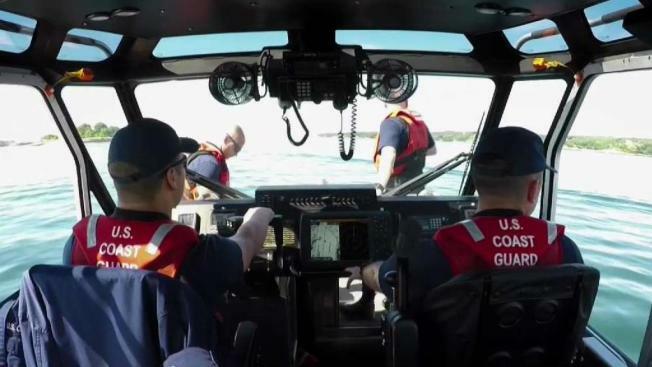 Kayak owners around New England are being asked by the U.S. Coast Guard to do their part in helping with unmanned kayak reports and preventing costly searches. The most recent case was just last week when a kayak was found empty and drifting in Cape Cod Bay. According to Groll, that number is only going to rise as summer starts. Each case reported receives a response as if someone was missing in the water, even if that's not the case. The Coast Guard estimates a team on the water costs $113,000 per hour. Adding in the crew on land, Groll said they are wasting billions in taxpayer dollars when it turns out no one was missing at all. On patrol of the harbor off Gloucester, Massachusetts, Coast Guard crews are going over safety protocol with paddlers. In some cases, kayak owners are putting their vessels too close to where the tides and when the water comes up, they are washed away. Then the call comes in for an unmanned kayak. Coast Guard teams are now traveling to local boat ramps and meeting paddlers on the water to hand out "If Found" stickers where owners can fill out their contact information to put on their kayak or paddle board. It's an issue that's happening as local as Rhode Island and as far away as Hawaii. "Even if you don't have an "If Found" sticker, grab a permanent marker, bare minimum write your phone number on it," said Groll. "Cover it in clear tape." According to Groll, in New England, Maine, Vermont and New Hampshire lead the way with the most reports.